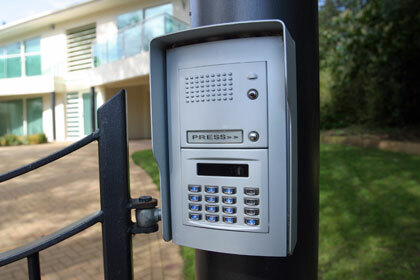 One of the numerous types of security we provide at Hewes Security to customers is access control in Southend. Access control can be used to protect either your home or business premises and can be used with a standalone system or integrated with other solutions. Access control system provide a range of different advantages to the simply door lock, including the fact that you can open the door from a remote location without someone needing to physically open the door. Also for businesses access control can be used to track the whereabouts of employees as a way to ensure good timekeeping. Looking for an honest and helpful security company in Chelmsford?